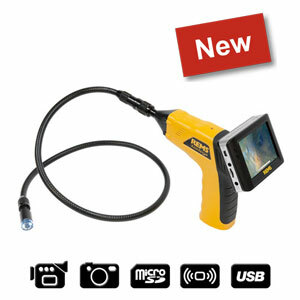 Proven quality tool for expanding and calibrating tubes. Soft copper tubes Ã˜ 8â€“42 mm, Ã˜ 3/8â€“11/8", s â‰¤ 1.5 mm. Soft aluminium tubes, soft precision steel tubes Ã˜ 8â€“42 mm, Ã˜ 3/8â€“11/8", s â‰¤ 1.2 mm. Soft stainless steel tubes Ã˜ 8â€“42 mm, Ã˜ 3/8â€“11/8", s â‰¤1 mm. 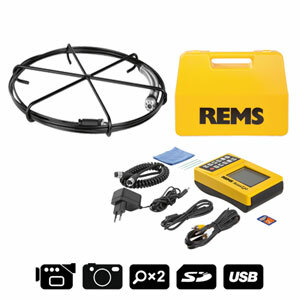 REMS Ex-Press Cu â€“ for making sockets yourself. 6-face mandrel for even and concentric expanding. Extra long sockets according to DVGW. Expander heads with calibration neck, fit other makes as well. Robust, compact quality tools for expanding tubes. REMS Ex-Press H â€“ universal up to Ã˜ 40 mm. 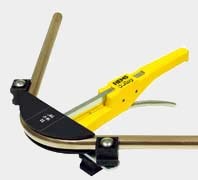 Proven quality tool for expanding tubes. Plastic tubes, multi-layer composite tubes Ã˜ 12â€“32 mm. REMS Ex-Press P â€“ for expanding tubes. Conical mandrel for even and concentric expanding. Quick-change. Extra long expander heads result in extra long sockets for perfect pipe connections according to DVGW. Special neck at expander head specially for calibration of deformed pipe ends. Fits REMS Ex-Press Cu and expanders of other makes. Complete assortment of REMS expander heads P for all common compression sleeve systems. Quickly interchangeable, without tools. 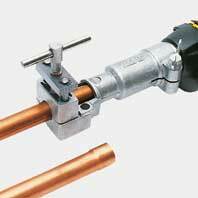 The REMS expander heads are system-specific and comply with the requirements of the respective compression sleeve system. Thus perfect system-conformity, exact expanding. Drive through REMS Ax-Press 15 drive unit with expanding adapter P, REMS expander P (taper angle 18Â°) and through suitable expanders of other makes. 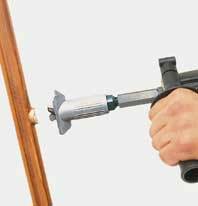 Compact, handy electric tool for fast, easy expanding of tubes/rings of the Wirsbo Quick & Easy (Uponor) system. 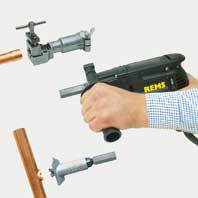 REMS Akku-Ex-Press Q&E â€“ fast and easy electric expanding. 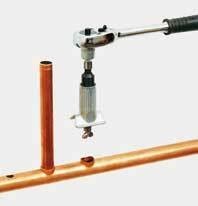 Economic manual tool for efficiently making T-branches for pipe installations without fittings. Hard and soft copper tubes Ã˜ 10â€“22 mm, Ã˜ 3/8â€“7/8", s â‰¤ 1.5 mm. 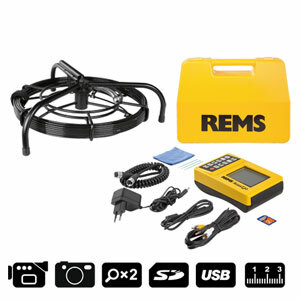 REMS Hurrican H â€“ for making T-branches yourself. Inexpensive. Also on tubes already installed. 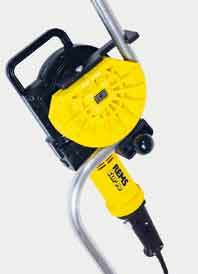 Powerful, compact electric tool for efficiently making T-branches for pipe installations without fittings. REMS Hurrican â€“ for making T-branches yourself. Powerful, compact electric tool for efficient cold-expanding of hard and soft tubes for pipe installations without fittings. Hard and soft copper tubes Ã˜ 10â€“22 mm, Ã˜ 3/8â€“7/8", s â‰¤ 1.0 mm. 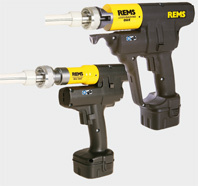 REMS Twist â€“ for making sockets yourself. Cold-expanding of hard copper pipes. Extracting: Hard and soft copper tubes Ã˜ 10â€“22 mm, Ã˜ 3/8â€“7/8", s â‰¤ 1.5 mm. Expanding: Hard and soft copper tubes Ã˜ 10â€“22 mm, Ã˜ 3/8â€“7/8", s â‰¤ 1.0 mm. Cold-expanding of hard copper tubes.